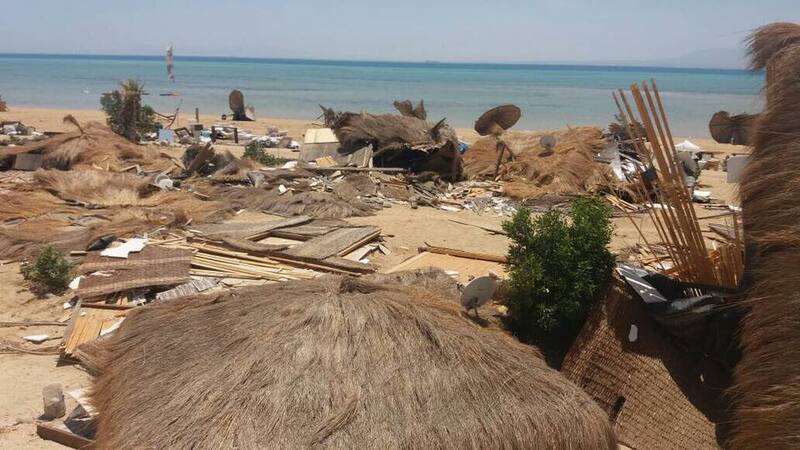 Egypt’s Tourism Development Authority (TDA) demolished Ras Sudr’s prominent kite surfing Camp “Kiteloop”. 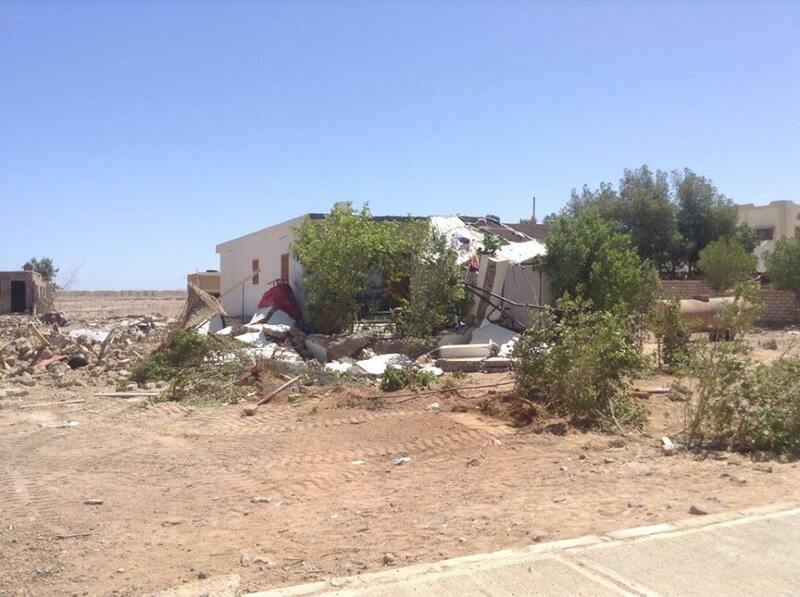 The order was implemented on Monday, and the entire camp was thoroughly bulldozed down and demolished. Karim Al-khashab, one of the four entrepreneurs who founded the camp, told Enterprise that security forces appeared on Monday with their bulldozers and started to demolish the guestrooms and all the camp’s facilities. They were not given a chance to evacuate the camp and the demolition occurred with no prior notice. Al-Khashab estimated the damage to be in the range of EGP 6 million. Ahmed Aboul Nasr said that Kiteloop was founded in 2011 after young entrepreneurs had rented it from the owner, who didn’t complete the land’s installments to the Tourism Development Authority, a common problem for several landlords in Egypt. In June, Kiteloop’s owners received a demolition warning, hence they decided to pay the money for the land themselves and filed an official request to settle the payments in case the owner refused to pay. However, they were repeatedly told that the priority goes to the owner, according to a statement released by Kiteloop. ” Ever since then we have been pursuing an alternative solution in vain. & today after 6 years, the dream was brought down putting all our staff out of jobs and ourselves left speechless,” Kiteloop concluded in a statement. 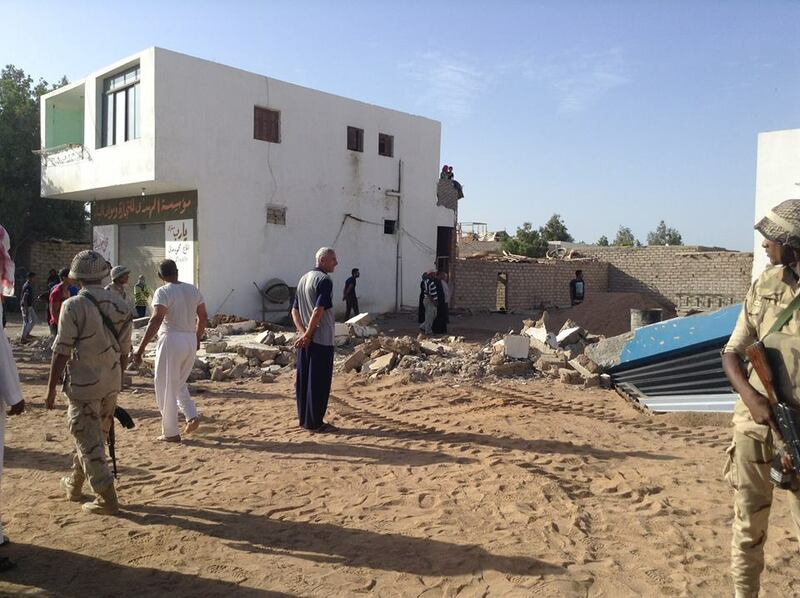 In another incident, security forces have also bulldozed down homes and gardens of residents in the South Sinai’s city of Dahab. A Dahab resident who spoke to Egyptian Streets on condition of anonymity, said that the security forces came back on Wednesday for more demolition. However, a Bedouin woman threw a big rock at the army tank and shattered the windscreen and everyone cheered and then then the Army and Police had no choice but to leave. In a similar context, the pottery workshops at the Tunis Village in Fayoum governorate were also closed down for the first time in 30 years earlier this week. All the pottery shops in Fayoum have closed down in solidarity with Tunis village. The current implemented demolition decisions come in light of the decision of president Abdel Fattah Al-Sisi to retrieve violated state property. Security forces have started to demolish properties that are built on the state property.